I don't know if I'd ever heard of field hockey until I moved to Maine a little over a year ago. 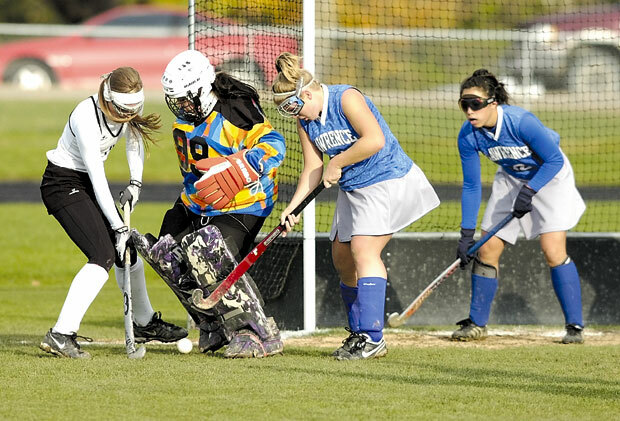 In New England high schools, field hockey is the girls-only equivalent of football. So it seems. Skowhegan Area High School's Erin Sevey tries her hardest to score against Lawrence High School during a Wednesday afternoon game at Skowhegan. Sevey scored the first goal for Skowhegan during the game that they won 3-2.